The feeling function is the basis for “fight or flight” decisions. As a subjective process, it may be quite independent of external stimuli. 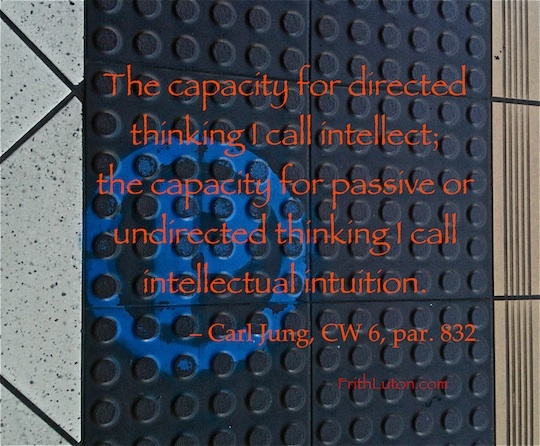 In Jung’s view it is a rational function, like thinking, in that it is decisively influenced not by perception (as are the functions of sensation and intuition) but by reflection. A person whose overall attitude is oriented by the feeling function is called a feeling type. 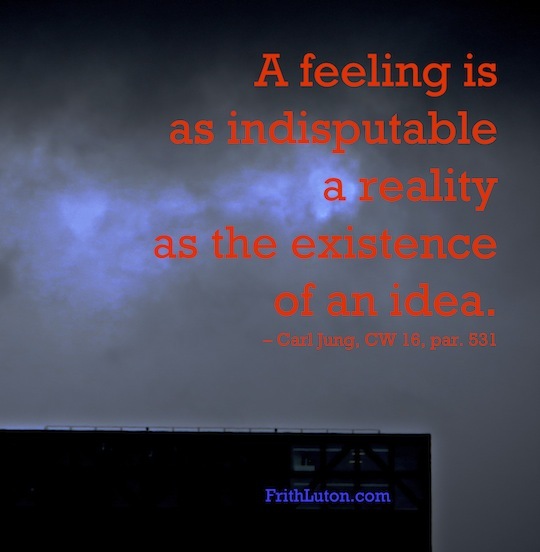 In everyday usage, feeling is often confused with emotion. The latter, more appropriately called affect, is the result of an activated complex. Feeling not contaminated by affect can be quite cold. In Jung’s model of typology, thinking is one of the four functions used for psychological orientation. Along with feeling, it is a rational function. If thinking is the primary function, then feeling is automatically the inferior function. As a process of apperception, thinking may be active or passive. Dropped in on my Facebook page?